When T2 asked if I’d like to pop along for a tea masterclass at their Leeds Victoria Gate store I jumped at the chance. We all know I’m a coffee addict and I do like tea but definitely not as much, so I was intrigued to see if they could persuade to come over to the dark side. When I arrived, the table was all set up ready for my tea masterclass which is very exciting and I don’t think I’ve ever had my name on a chalkboard before so there was some extra excitement there. First I tried some of the teas on offer. My favourite was the pumping pomegranate. Before the masterclass I’d only really tried fruit tea in teabags but the loose leaf was a totally different experience. Gigi was my tea expert for the day so she took me through all the different kinds of tea that T2 sell and where different teas come from. I learnt so much about tea and even though I’m a coffee girl at heart, it was so interesting to find out more about something we drink all the time without a second thought. Next we turned our attention to making some teas ourselves. It was a boiling hot day so I was itching for an iced tea and so we set to work, first making a warm Oolong Berry and then a cold one. Both were so delicious. Then we made a a hot choc chip chai with a hint of some loose leaf chilli kiss which I absolutely loved. Finally I learnt about matcha. I’ve only had one matcha drink before which was a matcha latte and I hated it. It tasted like spinach to me and I just wasn’t loving it at all. Gigi promised me that she could make me love matcha so we made a warm matcha latte and then a cold matcha drink which I garnished with lemon and thyme. Both of the matcha drinks were really nice and I was so surprised by the difference in taste. I also learnt loads about matcha. I had no idea that a cup of matcha is way more caffeinated than a cup of coffee so it’ll keep you awake all day if you have one in the morning, so you won’t suffer than mid-afternoon caffeine slump. Huge thank you to T2 at Victoria Gate who really knew their stuff and were able to answer all of my tea related questions. They also gave me the cutest little tea infuser and a box of the choc chip chai which was my favourite, so I can make nice teas all the time at home.  *this piece has been cross-posted from Just Moved to, you can check it out here. You’re unlikely to stumble upon Mrs Atha’s unless you know exactly where to look, but situated just behind House of Fraser on Central Road is this cute little coffee shop. Mrs Atha’s is always incredibly busy so that’s a good sign that the coffee is some of the best around. It’s a little pricier than some of the other coffee shops but Mrs Atha’s has more than enough charm to persuade you to spend a little more, and its food menu will have you parting with your pennies immediately. La Bottega Milanese is an absolute gem of a coffee shop. I love discovering new ones, but find myself back here time and time again. The whole place has such a chilled vibe, not to mention their incredible patisserie and selection of huge sandwiches and Italian street food. Luckily for us Leeds folk, La Bottega Milanese has 2 locations, one on Bond Court just off Park Row and the other in The Light, so you’re never too far away from a good cup of coffee. Cielo is a lovely little coffee shop on Duncan Street, right in the hubbub of the city centre. If you’re a coffee snob you’ll love it here and if you’re not, you can skip on past the pour overs and still have a great time. It’s a fabulous place to sit in the window and watch the world go by or for a casual catch up with friends. I am a huge coffee lover. Some may say snob but I prefer aficionado. Laynes Espresso is right next to the train station, so definitely pop there next time you’re catching a train instead of spending double the money on a chain store coffee! Laynes is undoubtedly the ‘coolest’ coffee shop in Leeds. Its food menu is simple yet tasty and their flat white is the best I’ve ever had. I first spotted Cathy Rentzenbrink’s ‘The Last Act of Love’ months ago in my local Waterstone’s. I flipped the book over and read the blurb and then I made a note in my phone as I often do when I spot a book I know I want to read and am desperately trying to stop myself from spending too much money on books. Eventually on Friday I bought it and by Saturday, I was done. 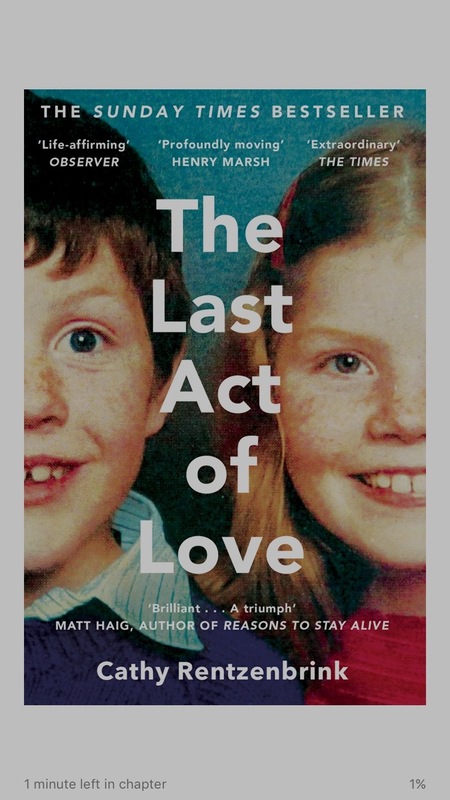 ‘The Last Act of Love’ is the true story of the devastating accident which left Cathy’s 16-year old brother, Matty in a persistent vegetative state, leaving Cathy and her parents debating the questions and legalities of keeping someone alive who is no longer the person you grew up alongside. The memoir drops the reader in to so many poignant parts of Cathy and her family’s journey, such as the ‘The last normal day’ and the excitement of Matty finally opening his eyes. But aside from the narrative, this is a story about love. It seems that above all, Cathy believes in love and it is this love for her brother that radiates out of this sad story. I read so many novels, so many tragedies, ‘tear-jerkers’, ’emotional rollercoasters,’ but it is not often that I am truly moved by a piece of literature. Before I read the book, I saw it described as ‘uplifting’ and wondered how this could be the case but the novel is so truly beautiful and Cathy’s warmth and affection shines through every chapter. For me, an extra special part of the novel was that much of it was set in Leeds. It seemed so strangely familiar that Cathy wrote of moving into Lupton halls at Leeds university as I was reading this just a few weeks after moving out of those same halls. And on some level I understood Cathy’s guilt of wanting her brother to die, or of even considering perhaps it would have been better if he had died straight after the accident. Although it was not an 8 year plight, my Grandma suffered with Alzheimer’s for many years. Years where she was already not my Grandmother anymore, the person had gone and the daily suffering of her new violent behaviour and loathing personality left me feeling extremely guilty of the relief I felt when she died. Cathy’s memoir is an undeniably special read and a book I will remember for a very long time.